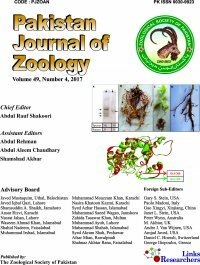 The study was conducted to investigate the seasonal and spatial distribution of zooplankton species at Chashma Lake during June 2014 to May 2015. The samples were collected from three partially separated stations of the Chashma Lake on a monthly basis. 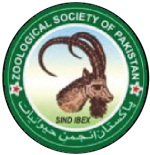 A total 42 species of zooplankton were identified from the Chashma Lake belonging to three taxa viz. ; copepoda, rotifera and cladocera. The diversity of the zooplankton species in the lake was determined by richness and evenness indices, which were found as follows; Margalef Index 1.30 to 3.87, Shannon’s Index 2.54 to 3.68, Simpson Index 0.92 to 0.97, Simpson’s Reciprocal Index 12.25 to 37.69 and Pielou’s Evenness Index 0.94 to 1.0. The zooplankton community was found abundant in summer as compared to winter. The copepods were found dominant followed by rotifers and cladocerans for entire study period. The spatial distribution of zooplankton was not found prominent as compared to their seasonal distribution. However, rotifers showed spatial difference among sampling stations (ANOVA, p-value < 0.05). 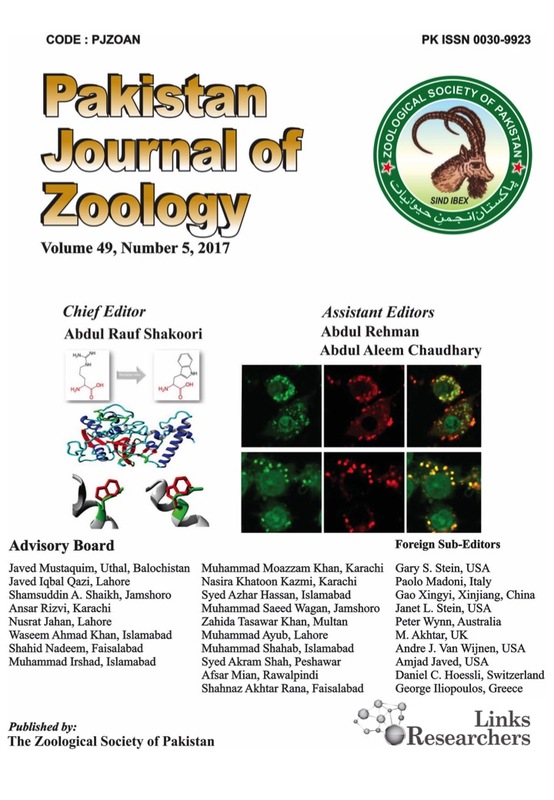 The present study provides a first detailed spatial and seasonal distribution of zooplankton in Chashma Lake, which may be a road map for further studies on zooplankton diversity in other freshwater lakes in the region.